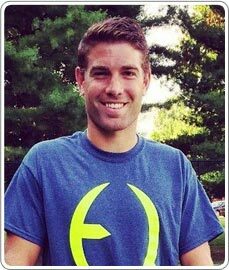 Chris is an Owner and founding partner of The Tennis Club at Springhurst and Top Gun Academy. 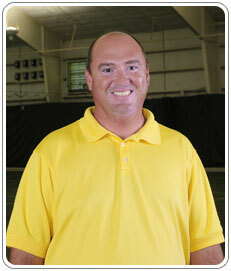 He also serves as the Head Tennis Coach at Trinity High School for the past 6 seasons. The Club has won the Kentucky Tennis Association Facility of the Year twice in its 18 year existence. 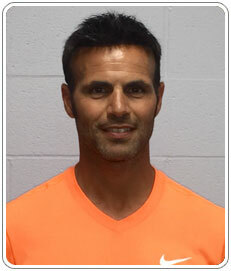 As a teaching pro for 16 years, Chris has developed many state, sectional and nationally ranked junior players. Chris also served as the coach for his brother, Michael, an NCAA All-American and top 400 ATP tour. Chris has captained two USTA Men’s 4.5 teams that have won the Southern Sectional championships and advanced to the Nationals. He is a graduate of Hanover College where he was team captain junior and senior seasons for the nationally ranked tennis team. He led his team to the national championships three consecutive years. After graduating from Hanover, Chris pursued his MBA at Xavier University before returning to Louisville to pursue his career in tennis. 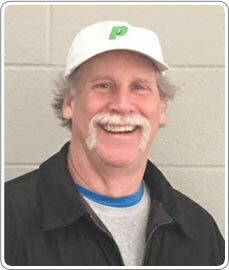 Greg is an owner and founding partner of The Tennis Club at Springhurst and Top Gun Academy and has directed tennis programs in the Louisville area for over 20 years. Greg has also developed and coached many Adult USTA teams who have won their State and Sectional championships, as well as taken many teams to playoffs at the National level. 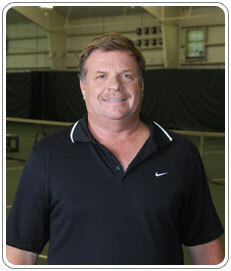 He has also coached many River City Racquet League teams who too won their championships. Greg was a standout player at the University of Louisville and remains one of Kentucky's top players in his age group. He has been the Captain of the Senior Cup team (Kentucky) for many years and has been a Kentucky Tennis Association Player of the Year. 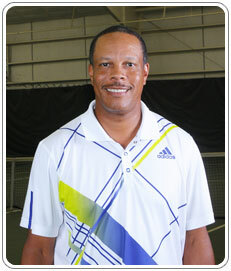 With over 25 years of teaching experience, William has served for 9 years as Head Tennis Professional in Louisville and Florida, including working at the Nick Bollettieri Tennis Academy. He was a nationally ranked junior player in Florida, played collegiate tennis at the University of North Carolina at Charlotte and played in ATP Tour satellite events. Ylia is a native of France who trained at the Nick Bollettieri Tennis Academy in Florida as a junior player. He played varsity tennis at the University of Tennessee before playing four years on the ATP Tour where he achieved world rankings in singles and doubles. After his playing career, Ylia pursued a master of science in education/sport management at his Alma Mater, and as a graduate assistant helped the men's tennis team win two SEC championships and two NCAA semi-final appearances. During his 12 years at The Tennis Club at Springhurst, he has developed nationally ranked junior players such as Eric Quigley and Maks Gold. In addition to junior development, Ylia's work has extended to the USTA adult level, developing many state champions of all levels and ages. Parker played collegiate tennis at Rollins College and Transylvania University (TU), where he played #1 singles and doubles. In his career at TU, he went undefeated in singles in conference play, and was twice named conference Player of the Year. He is a 5.5 NTRP rated player, and in 2010, 2011, and 2014 he was ranked as the #1 doubles player in Kentucky while also reaching #2 in the south. In 2013 he was named the Kentucky Adult Player of the Year. As a coach, Parker is the director of Top Gun Academy. 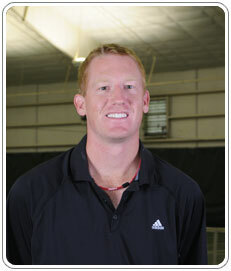 He received his USPTA certification in 2010, and since that time has personally coached eight different Creason champions, and four finalists. He has been the coach of several Division 1 college players and has also had two students receive the Most Improved Player in Kentucky award: Lucas Sakamaki (2013) and Dan Lineberry (2014). Brian has been a teaching professional for 35 years. He owned the DuPont Racquet and Fitness Club for 10 years. He is a past President of the Kentucky Tennis Association. 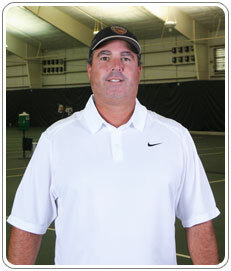 He has had the good fortune of coaching a 3.0 USTA Women’s National Championship team (1987). He has also worked with multiple Kentucky High School State Champions. As a player, has been ranked nationally off and on for the past 10 years, playing on grass, hard court, clay and indoors. He is very happy to be part of the The Tennis Club at Springhurst family. Michael was ranked at the State, Sectional and National levels as a junior player and Played tennis for Texas A&M. He was the Tennis Director at Hurstbourne Country Club for 21 years. He is certified by the USPTA and is a lifetime USTA member. 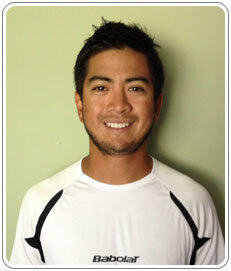 Tyler is PTR certified and has been at The Tennis Club at Springhurst since 2012. He is Director of High School Prep, Aces and Mavericks programs. Tyler is a native of Louisville and a graduate of the University of Kentucky and St. Xavier High School. He was #1 in the state for many years and won numerous Joe Creason and Ryan Holder Championships. Tyler was an All State selection at St. X and was an integral part of winning three state championships. As a junior player, Tyler was featured in USTA Magazine and lived at tennis academies in North Carolina and Georgia, while reaching as high as #2 in the South. In his three years at Springhurst, he has coached state championship teams and players at nearly every level in both USTA and River City. 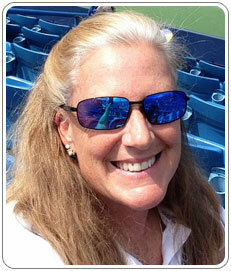 Tammy is our 10 & under Director and has played and taught tennis over 40 years. She has played High School and College Tennis. In 2013 she was named Professional Tennis Registry's Kentucky Pro of the Year. She annually goes to the US Open to coach Arthur Ashe Kid's Day. 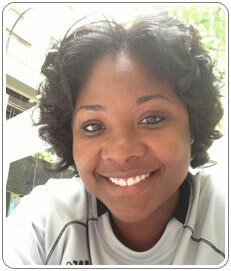 Her passion is for the Juniors where she loves to coach and mentor the children. Mark is a native of South Africa where he was a Top 30 nationally ranked junior He graduated from Campbellsville University where he played singles and doubles for four years. During his time there, he made the All Conference Singles Team once and All Conference Doubles Team four times. He has worked at the Coastal Tennis Academy in South Africa and the International Tennis Academy in Florida where he accompanied players to Junior Orange Bowl and Kalamazoo National Hard Court tournament. Prior to The Tennis Club at Springhurst, he was teaching at the Rochester Tennis Connection in Minnesota where he was the Adult/USTA Tennis Coordinator. Robyn White carried out her collegiate career at the University of Louisville on the Women's tennis team. She achieved many firsts within in her four years there, including leading the team to their first ever NCAA appearance and highest team ranking in school history. Robyn played in some professional events including the YUM! Brands Challenger as well as the U.S. Open National playoffs. Robyn has now dedicated her time and efforts to developing junior and senior tennis in her community. 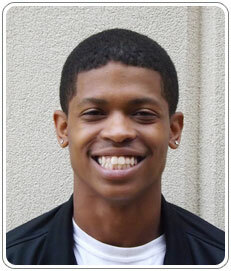 Chris is a native of New Albany, IN who was a three year member of Indiana University Southeast varsity team. Chris played #1 doubles and #4 singles, receiving All Conference honors in 2008-2009 season. He later become the tennis coach at Hazelwood Middle School coaching both the boys and girls teams. Most recently, Chris was a tennis professional at the Owl Creek Tennis Center in Virginia Beach. He is currently the Assistant Head Coach for Trinity High School. Eric is a native of Pee Wee Valley, KY and is one of the greatest players in the history of the state. A native of Ontario, Canada, she is a 15 year USPTA certified teaching professional, a former Division 1 All American tennis player, All American Strength and Conditioning team and Arthur Ashe National Leadership and Sportsmanship Award at Clemson University. She has played professionally throughout Europe. Jan has a Masters Degree in Sports Management from Georgia State University where she coached at a Division 1 collegiate level. 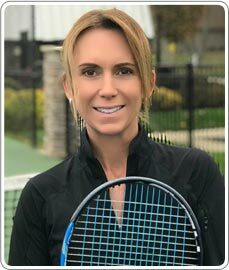 Jan has experience in the sports marketing field and has taught and managed numerous tennis and fitness programs and clubs throughout the United States. Jan was 2008 Southern section adult female tennis player of the year and has won USTA 5.0 Team National Championships as well as 5 consecutive National Championships for team Southern at the National Intersectional Championships. Jan was selected by USTA KY to coach the 2017 Junior Southern Cup Team.